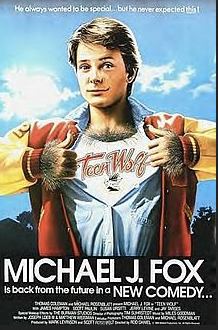 I am of course referring the to 1985 seminal coming-of-age film for all werewolves, not the horrid abomination on MTV or the questionable sequel about a boxing werewolf. Side note here….how does becoming a werewolf make you better at boxing? I get how becoming a werewolf will make you able to dunk a basketball, or do that cool pass behind your back (multiple times), but boxing? It doesn’t make any sense. Poor Jason Bateman. He will always be remembered for this monstrosity (no pun intended), rather than his exemplary work as Derek Taylor in Silver Spoons. Anyhow, by now you are probably wondering…what does beer have to do with Teen Wolf? If you don’t know the answer to that question, do yourself a favor. I recommend you sit down, prop your feet up, plop a large bowl of your favorite snack in your lap (if it isn’t popcorn, then there is no reason for me to ever be in contact with you again), and start viewing what is widely considered the greatest basketball movie of all time. You read that right….THE GREATEST BASKETBALL MOVIE OF ALL TIME. If you can believe it, it is even better than Love and Basketball. Please give yourself at least an extra 30 minutes after the movie is over the write your copious “Thank You’s” in the comment section. You will need at least that much time. Where was I? Oh yea, so what does beer have to do with Teen Wolf? If you don’t include any scene involving Coach Bobby Finstock or Scott’s buddy, Stiles, at least 14% of the population agree that the following is the best scene in the movie. SPOILER ALERT: If you haven’t watched the movie (seriously, why haven’t you at this point? ), the scene is a slight spoiler. Just to get this out of the way. We here at Beer Goes With Everything do not condone underage drinking. I can justify celebrating this scene by the fact Michael J. Fox is actually 24 by the time this movie became the box office sensation it was (and still is). You have to watch this move – seriously, watch the movie. Before I end this post, I have a couple other comments to make about the movie. I don’t get why #45 isn’t used more. He has size and isn’t bad on the offensive boards. Scott, in both human and wolf form, should run as inside-outside game with him. I respect Coach Finstock in every way imaginable, but he is really missing the boat on this one. Chubby clearly travels in the championship game. A blatant missed call by the referee. You would think Chubby was Draymond Green out there. Why does Scott’s friend, Lewis, shun him after his werewolf blood is revealed? I will never understand this. This is the most blatant form of racism I have ever seen in a mid-80s werewolf basketball movie. Come to think of it, is hating werewolves racist or is it considered some other word I am not aware of? Whatever happened to dog whistles? I seem to remember them being a pretty big thing back in 1980s television. Come to think of it, I have never actually seen one in person. Do they really exist? Is that Val Kilmer giving the double peace signs in the crowd at the end (1:52)? If not, that guy is missing out on some serious money as a Val Kilmer impersonator for kid’s birthday parties. Much like the guy in the crowd at the end (1:48), it is time for me to zip it up. Until next time….